Spyro Trilogy Remaster Coming to PS4 and XBOX One This September! The original, Ripto's Rage, and Year of the Dragon all in beautiful HD. After months of rumors, and a week of teases, Spyro the Dragon is officially back, and he's returning in time for the purple dragon's 20th anniversary. 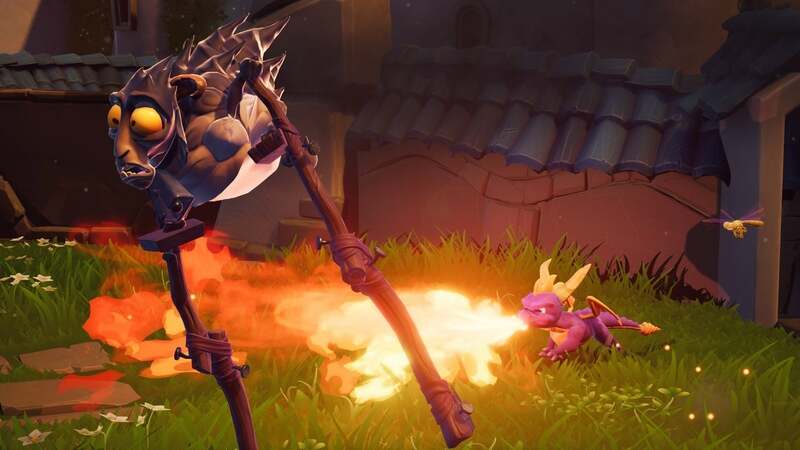 Activision announced today the Spyro Reignited Trilogy, developed by Skylanders devs Toys for Bob. The trilogy will include Spyro's three original PS1 outings — Spyro the Dragon, Spyro 2: Ripto's Rage, and Spyro: Year of the Dragon — with new, remastered graphics, sound, available on the PS4, PS4 Pro, Xbox One, and Xbox One X on September 21.
very good news that spyro trilogy are being remastered and coming out on september 21. i don't have a ps4 yet but i will get one when final fantasy remake comes out and i will eventually get spyro reignited trilogy. i remember playing spyro the dragon (the first spyro) on ps1 on the demo disc and i thought it was fun back in late 1998 when i first bought a ps1. then in late 2012, i bought spyro 1 off psn and i thoroughly enjoyed the game but i got stuck in world 3 and didn't finish it. then a year to 2 years later, i watched spyro 1 gameplays on youtube and i finally was able to find all the hidden gems, get all the eggs, and save all the dragons because of it. otherwise, i will still be stuck on world 3. many of the hidden areas to get the gems, eggs, dragons are very smart and creative. so i cheated by watching how to collect them on youtube to beat the game 120%. The 1st game has like very good to great gameplay and very, very good to great replayability. it was really fun. i never played the 2nd one so i don't know but the 3rd spyro: year of the dragon, i did play it on demo disc that comes with opm magazine back in late 2000 iirc and i had fun, i love the skateboarding area. so in 2014, i bought spyro year of the dragon and to this day i still haven't finish it. maybe i have grown but i didn't enjoy the skateboarding area as much as i did when i was a teenager. the gameplay is still fun but there are a bit too many mini games within mini games in this spyro that it overwhelmed my retarded brain. i like spyro 1 more as its more fun and simpler. it has many good to great mini games but not mini games within mini games like 3 is. anyway, after i watched the remaster trailer and pics of this trilogy, overall i like the huge upgraded graphic, but there is something off about it. especially the color looks kind of bland somehow compares to the original. 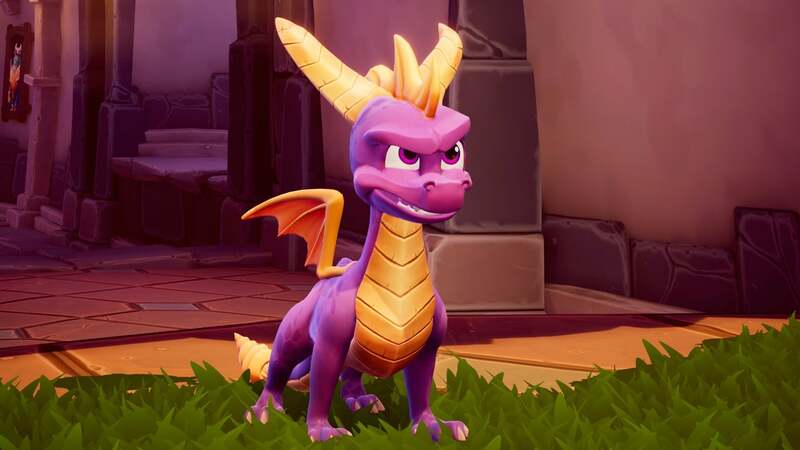 and the remastered spyro looks a bit chubby compares to the original though but that can be overlooked as the animation looks very good to great. lets hope this remastered support smooth 60 fps. so overall, i still like it and it got me hyped to see the remastered pics and trailer as i will eventually get it after i get ffvii remake when its debuted and possibly ps4 pro if the price of the ps4 pro is right. Re: Spyro Trilogy Remaster Coming to PS4 and XBOX One This September! Another remaster? This really is the generation of gaming with no imagination. Don't get me wrong, I'm all good with rereleasing classics, but it seems this generation that's what they're throwing all their resources into instead of taking a chance with new IPs and new ideas. yeah. i don't mind old games being remaster or remake because i lost most interest in new video games since summer 2002. so i can play back old games that are being remastered or remade so i can enjoyed them in their glory 2k to 4k resolution and hopefully at a smooth 60fps. btw titan, what is ip? the first thing that came to my mind when i read the word ip was internet protocol? i also googled the word and its also said internet protocol. is that what you meant? IP stands for intellectual property. It's a term frequently used in the gaming world to describe a new game or idea or even just in a general sense. So for example, "Gearbox Software just announced they are coming out with a new IP. They'll be releasing details next week". Or, "Uncharted is IMO the best IP that came out on PlayStation."